"So you do this for fun?" "Hey that's so cool. 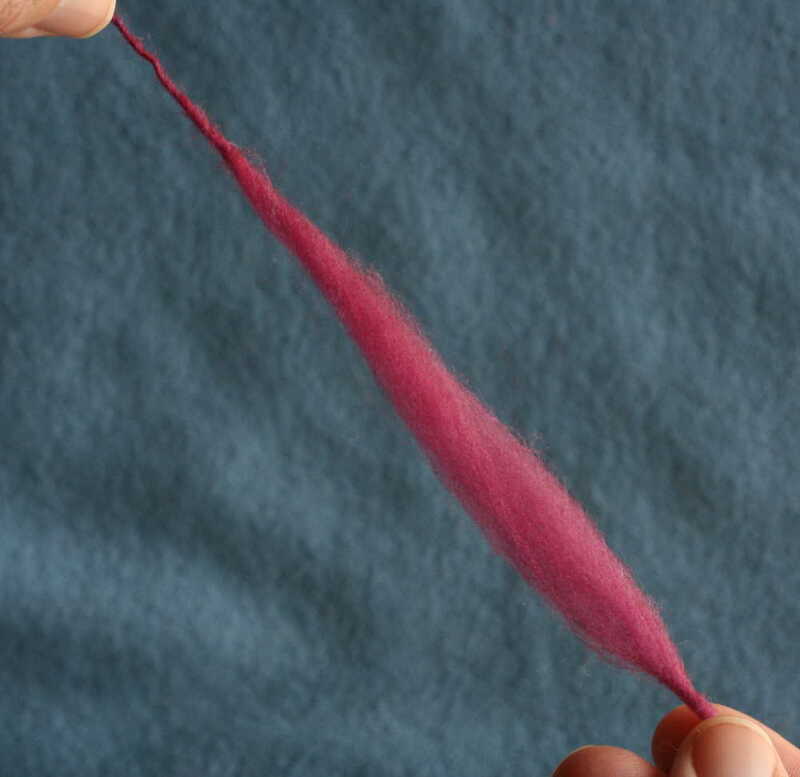 Can you make me some yarn that looks exactly like this $45 a skein silk cashmere stuff?" That amazed person? The one who will watch you for as long as you are willing to spin? That person wants to learn how to spin. You should offer to teach them how. I've taught lots of spinners (and knitters and crocheters). I love to teach. I would do it for free if I didn't have to pay rent and buy cat food. Here is something my students have taught me: teachers don't have to be perfect, they just have to be patient. So, if you know how to spin, you can teach (at the very least) the basics to someone else. Then you'll have a spinning friend and how wonderful would that be? 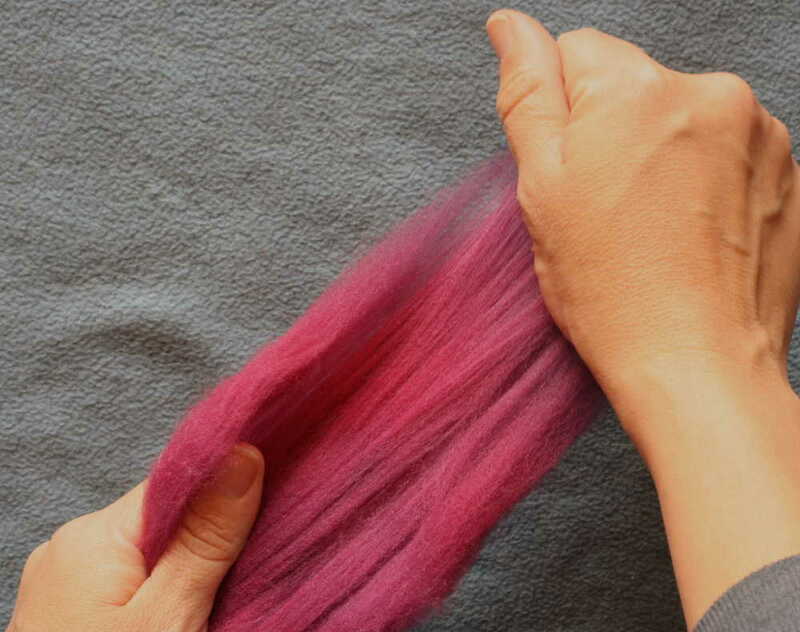 You could swap roving and trade spinning stories and try out each other’s new lazy kates and join a Spinzilla team together. Okay. Maybe I'm getting a little ahead of myself. You, the spinner, are the best resource a newbie could have. Sure there are plenty of in-print and on-line resources out there. But none of them can give what you can: on the spot help and lots of encouragement. In this post I’ve outlined my standard lesson for first-time spinners and I hope you treat it like a salad bar; take the stuff that you like and leave the rest. You’ll need some time of un-interrupted quiet. No one can learn with kids and phones demanding their attention. Find some quiet time with your friend before you get started. No one likes to learn vocabulary. (Maybe someone, somewhere out there does but they are a rare species.) Work in the important terms as they come up but skip the part where you talk and student listens. Spinning is about doing. Put some fiber in their hands! Speaking of fiber, start with something decent. 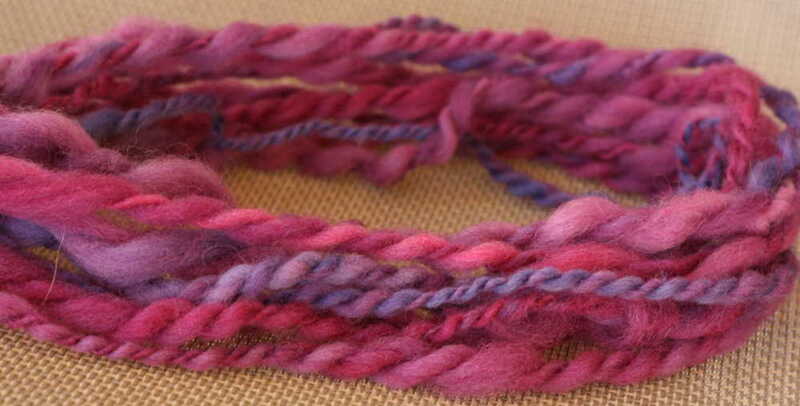 Talk the newbie out of the low quality roving they acquired on the cheap or for free. There is a reason it was free. 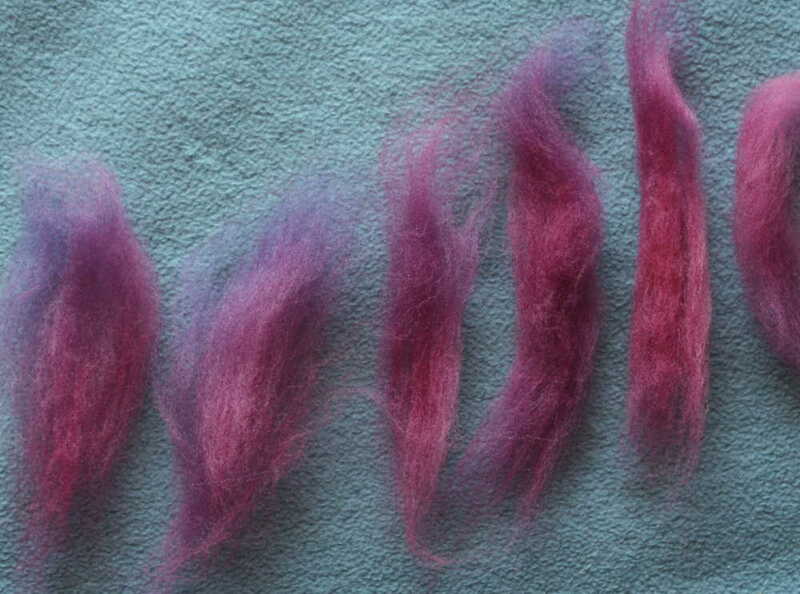 Short staple length, poorly combed/carded, mystery fiber is hard to spin. Save the both of you lots of frustration and go with a quality merino. My method is focused on doing not explaining. You could describe in great detail how to draft fiber and it would do the learner very little good. But as soon as they try it for themselves, they understand. The learning is in the feel of it. Have them to pull the fibers apart, over and over, until there is a small mass that can’t be pulled (lengthwise) apart anymore. Point out that your student has now determined the length of the individual fibers. Have them do this again. And again. Let them learn how far apart their hands need to be to start the fibers moving and how much force it takes. Then, you can be a bit mean challenge your student by adding some twist to the fiber and asking them to draft it. This will be helpful to point back to later when they, inevitably, let the twist travel up into the un-drafted fiber and find that they can’t draft. Once they have played with the fiber as much as they want, its time to learn the drop spindle. I have a few different types but I prefer Turkish spindles. They have a nice balance and are easy to get started. Easy to get the yarn off of them too, of course! Show your student how to attach a leader with some tough, commercial yarn. Then take it off and make them to it. And again. Repeat until they think they can do it without you watching them. Next is making that wonderful, helpful, little half hitch. Again, repeat until they can do it without you. With commercial yarn, I can demonstrate these things, and students can practice these things, without having to also draft. This is my method to get all of the skills that are not drafting, taught and out of the way. While all the stuff above is going on, I’ve been pre-drafting fiber. I get it fluffed, stripped and attenuated. I want my students to have success and lots of it. So I prep the fiber such that it needs some, but not too much, drafting. Breaks happen and the spindle drops. A beginner always thinks this is because the yarn got too thin. Experienced spinners know that yarn can be ridiculously thin and not break. Breaks happen because there is not enough twist. Beginners will have trouble with, and be intimidated by, joins. Get them over this quickly by showing them how to fluff up ends and overlap them. Beginners can and will do those wonderful techniques you find in art yarns. They will do all of them. Their yarn will be thick and thin, slubby, have wings and anything else you can imagine. That’s ok. Practice, practice, practice. The way to get better at spinning is to spin. The more fiber I can move through a student’s hands, the better they get. and that is nothing like what they have seen you spin. They will be frustrated but there is a simple way to get past this. You ply their yarn. 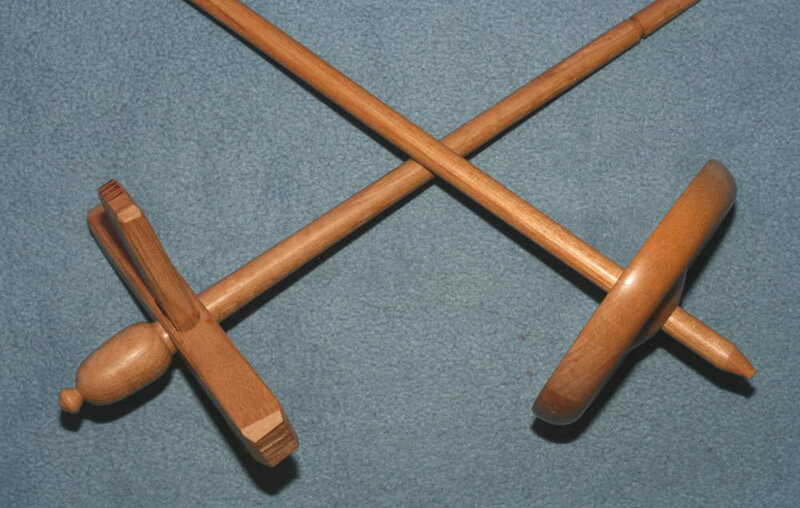 Take what’s been spun off the spindle and break it into two balls. Then ply. 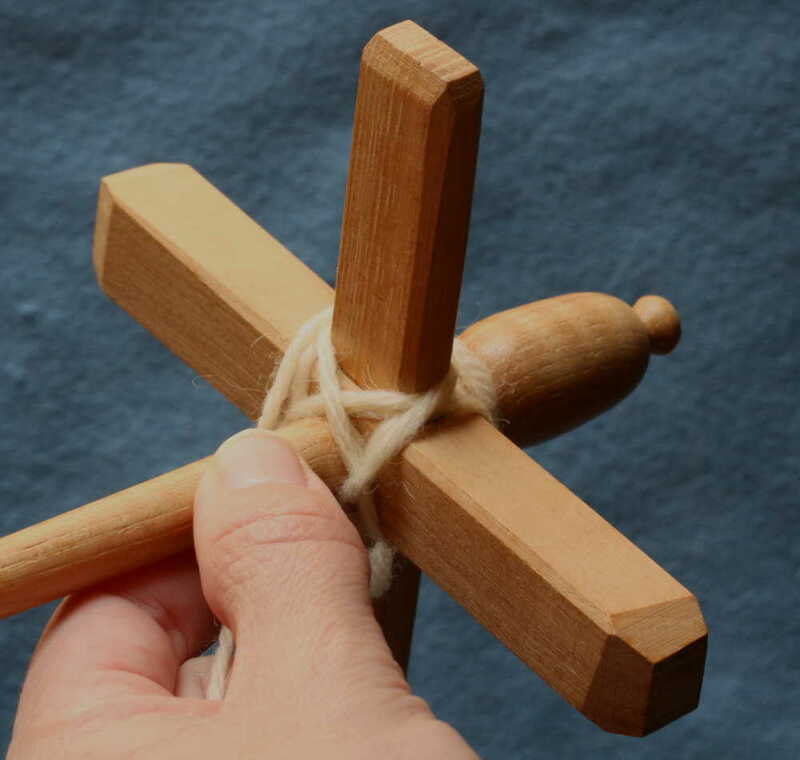 This is a good way to demonstrate how Z-twist singles will wrap around each other when spun S-twist. 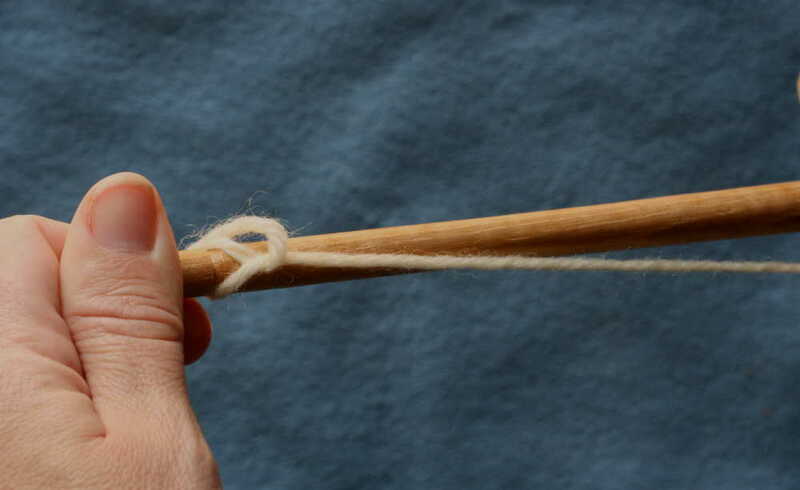 Even better, it’s a way to prove that the lumpy, rough single they spun is in fact, actual yarn. Nothing breeds success like success. When they see their finished yarn, they will be motivated to keep spinning. When you see their face go from disappointment to wonder, you’ll be motivated to keep teaching! Next you take back your spindle! Show them where they can get their own, recommend some roving to buy, and tell them to come back when they have a few ounces spun up. Then you can show them how to ply for themselves. After the lesson I make a pest out of myself apply gentle encouragement to keep the new spinner going. I demand pictures of what they have spun. I bully them to come to my weekly group, the Roving Crafters, and show off their beautiful creations. I forward links to helpful websites and on-line fiber sales. I have even been known to offer bribes of candy for status reports. I hope you will give teaching spinning a try and tell me how it went. 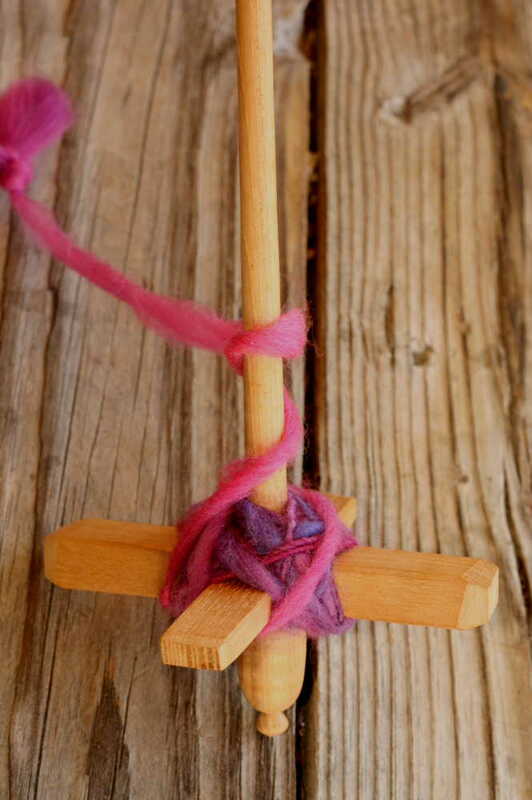 To spin yarn is to connect with the past. To teach is to connect with the person right next to you. To comment on this post is to connect with me and I live for feedback. Jenn lives in Austin, Texas with two Feline Overlords, two spinning wheels, and a fiber stash that grows every time you turn your back on it. She's taught math and science for years and took up teaching spinning, knitting, and crocheting to pay for her yarn habit. 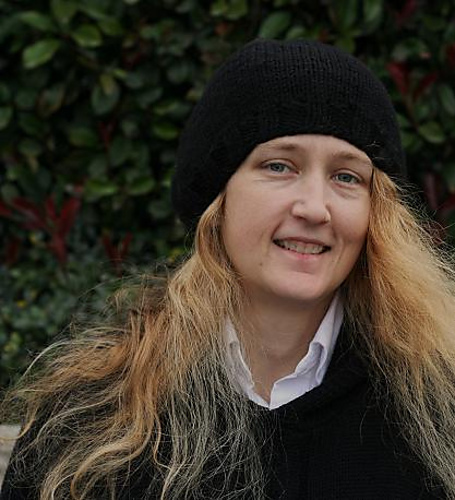 She designs knit and crochet patterns mostly for fun but every now and then a publisher will buy one. You can find her rambling about her yarn-y adventures at rovingcrafters.wordpress.com.